My 14-year-old daughter recently became Vegan. Her rationale was that she wanted to be more healthy, inspired by watching the documentary Forks over Knives. Before swearing off of animal-derived food forever, I asked her to dig a little deeper and analyze why she was making this life choice. This meaningful gesture probably is multi-faceted. According to Stanford Professor/Author Emily Smith, there are four pillars to meaning: belonging, purpose, storytelling, and transcendence. Rather than focusing on her inward goal (health), I asked her to think about her connection to all other vegans (belonging), the negative environmental impact of animal production (purpose), the idea that her actions could improve a lot of humans and other animals in the future (storytelling and transcendence). Now, these are reasons to be Vegan, whether it was her original intent or not! We can quibble about whether identifying meaning post hoc is as substantive, but in my humble opinion finding meaning at any time is important, whether at inception or not. In this week's Loupe, we explore living life with MEANING! This digital, wearable (smart) button allows you to beam anything (photos, images, GIFs) that you value, thus creating awareness. You can share a cause (Go Vegans), celebrate an occasion (picture of the birthday person), or even root for your team (Go Quakers). It reminds me of a political pin collection I grew up with; anyone remember the "I Like IKE" campaign? The novel feature is that you can change the images; in fact, it will scroll through all your different digital images (if desired). The interesting thing is how strangers approach you (almost like having a dog) to talk about your Beam and/or the cause. Therefore, after you find meaning, you can Beam it proudly to the rest of the world. It will provide an opportunity to share and explain your interest(s) with others, and believe me, they will ask! Thank you fellow Louper Dante B. for this incredible find. Traveling is one of the great joys of life. It provides an opportunity to escape your everyday routine and do something completely different, whether it is tanning at the beach or climbing K2! After you have booked that perfect trip to an exotic location, I urge you to add meaning to your trip and pay a visit to Visit.org before you leave; it is a site that allows you to book charitable excursions around a planned itinerary or vice versa. Started by a female Israeli pilot and computer engineer, the mission is to increase awareness of great social organizations by facilitating unique and personal experiences. You can browse by cause (Agriculture, Animals, Human Rights, and more) or by location. I will warn you that this company is very new, but they are doing it right. Each organization goes through an extensive vetting process. They are very transparent and all the money from the booking goes to the non-profit and Visit.Org receives a 20% fee. Meet rescued chimpanzees and macaques in Girona Spain. How about joining a community effort to build homes in Mexico? These experiences will enhance the meaning of your travels, expand the possibilities of your charitable endeavors, and will be feel-good fun! PlantLab is a wellness lifestyle movement. 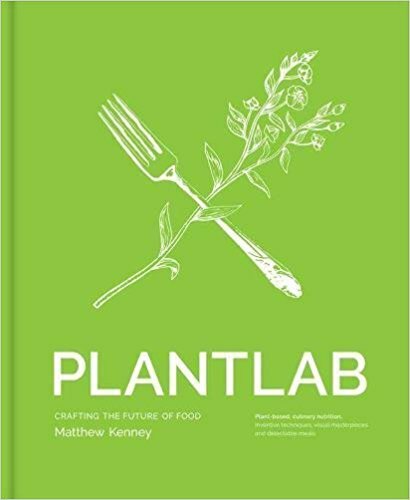 Founder Matthew Kenney is a celebrity chef who is a leader in plant-based culinary innovation. He has developed a curriculum, both online and offline, where individuals can pursue both personal enrichment and/or professional training. They even have courses in wellness which educate people on living a plant-based, sustainable lifestyle. PlantLab has also partnered with the Aman hotel group and offers immersion experiences to kick-start your sustainable lifestyle. Of course, there is a cookbook and blog so that you can sample the offering before diving in! Chef Solla Eiríksdóttir is the owner of Gló in Reykjavik – Iceland’s most famous vegetarian and raw-food restaurant. Kathryne Taylor is the personality behind the hugely popular blog Cookie + Kate, named after her crumb-catching dog Cookie. In six years, the vegetarian and all-natural food blog have grown from a hobby to a full-time project, and now garners over two million visits per month. Kathryne researches, develops, cooks, photographs, and writes every recipe on the blog and now shares many of them in this book. Make sure to assign meaning to your passions, and consider Beam, Visit.org, and PlantLab found!